Subject property is located just west of the northwest corner of Royce Rd and Lind Rd. Paved access off of Lind Rd. 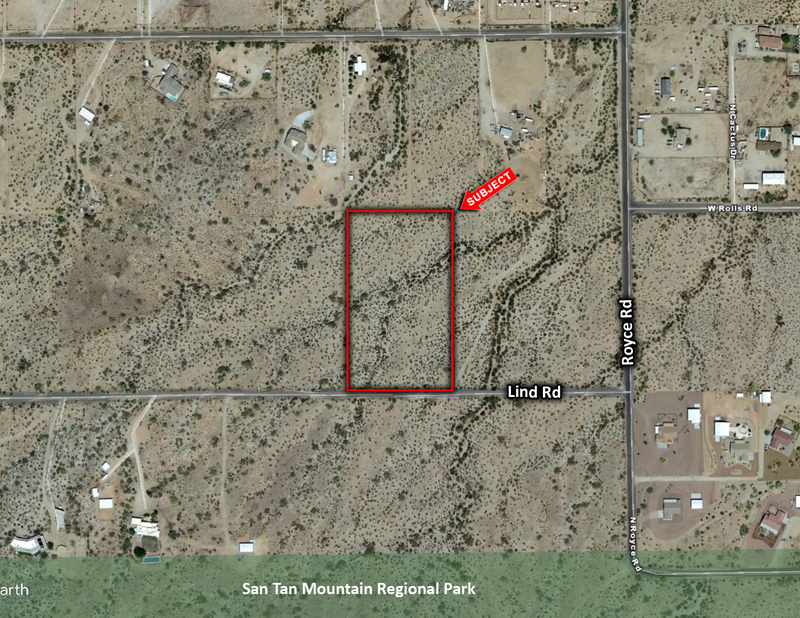 Property has excellent views of the San Tan Mountains and a feeling of being away from town. However, shopping is only minutes away at Hunt Highway and Gary Road. Great for a homebuilder or as an investment.